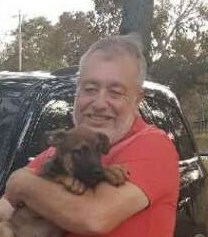 Michael A. Jones, age 60, of Hudson, Florida, formerly of East Hickory, PA, died unexpectedly on Thursday, April 11, 2019 at South Florida Baptist Hospital in Plant City, Florida. He was born October 22, 1958 in Titusville, PA, son of the late Harold F. “June” and Mae (Wagner) Jones. Mike worked for his father for many years eventually taking over his business known as Jones Excavation and Trucking. He operated machinery in the area for many years and during this time he was the grave digger for most of the area’s cemeteries. He then served his country, not as a Veteran, but as civilian contractor in Iraq during the most dangerous of times. More recently he worked as a self-employed over the road truck driver. Surviving are his two children, Jerry P. Jones of Hudson, Florida, and Lori L. Jones of Youngstown, Ohio. A grandson (Lori’s son) Caden Benedek. Friends will be received at the Norman J. Wimer Funeral Home of Tionesta on Thursday from 6-8. A funeral service will be held on Friday, April 19, 2019, 11 am, at the funeral home. Burial will be alongside his parents in East Hickory Cemetery, East Hickory, PA.